Ever since I made the No Bake Strawberry Cheesecake that I wrote about last week we have wanted it again, it was that good. As it was another glorious weekend last week and we had a barbecue planned we had to have another cheesecake. This time I wanted to try another flavour combination. 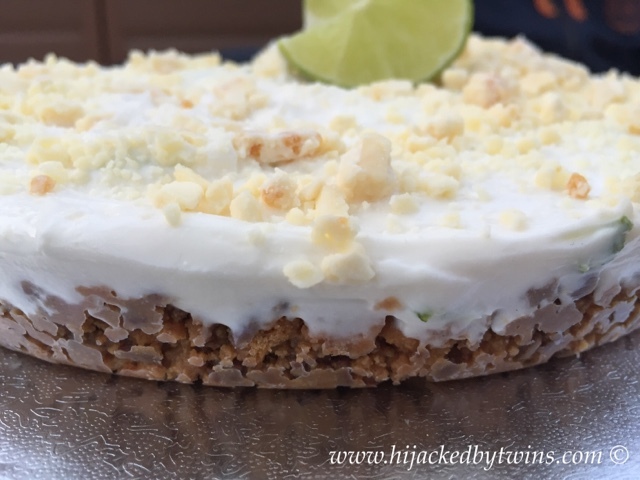 I had plenty of limes in the fridge so I decided to make my own take on a key lime pie style cheesecake. 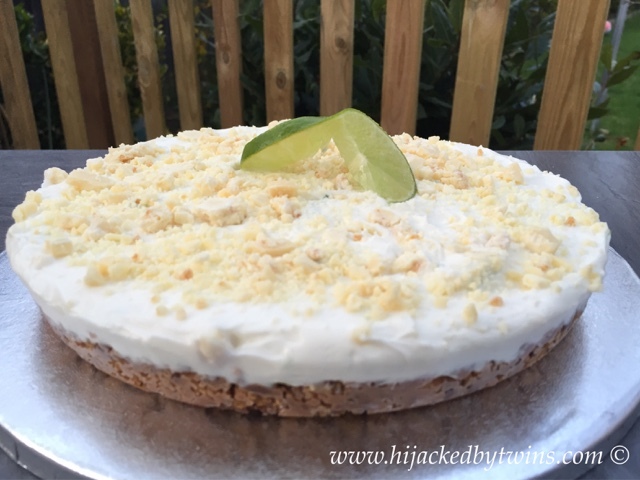 We liked the strawberry cheesecake base so much I have followed the same recipe again using the coconut oil. 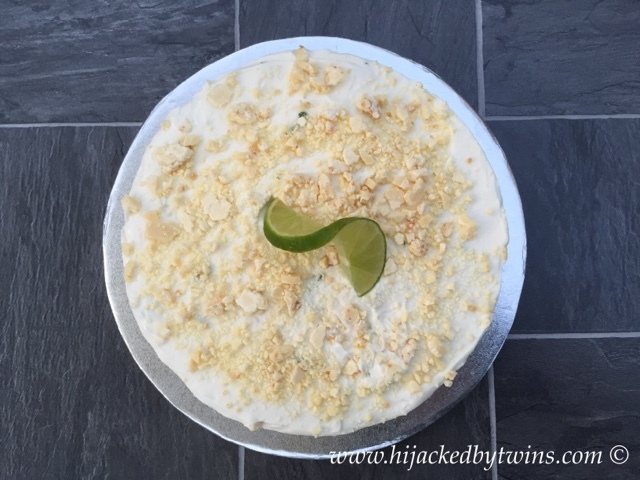 I have used the limes to enrich the cheesecake centre and have finished it off with creamy white chocolate pieces. The white chocolate topping on this cheesecake finishes it off to perfection and certainly keeps you wanting more! 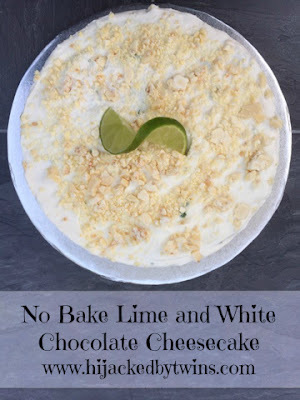 As with the strawberry cheesecake, this lime and white chocolate cheesecake will keep for up to three days in the fridge. This makes it an ideal dessert to make in advance, that is if you can resist the temptation for a slice! I wouldn't want to share this with anyone! I'd be getting myself guilty slices every time I was alone in the kitchen!